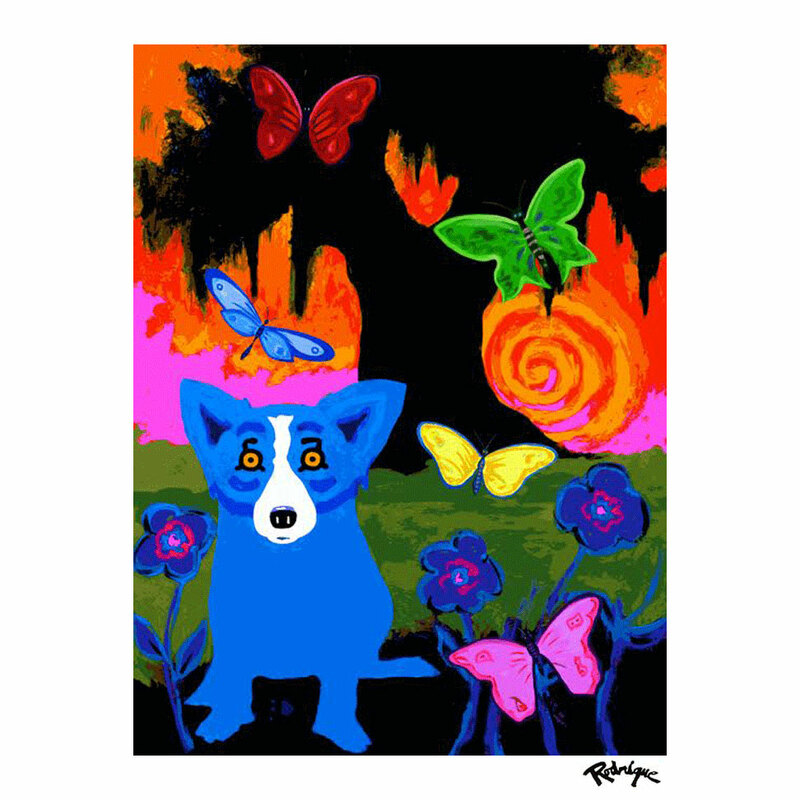 Celebrating the current exhibition, Rodrigue’s Swirling Vision: The Sun, Cosmos, and Hurricanes, Rodrigue Studios releases the vibrant Butterfly Blues, previously only available as a signed print (now long sold out- Read the ‘Note’ below). 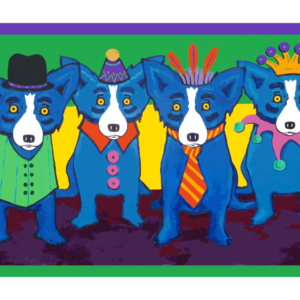 Rodrigue’s Swirling Vision continues through December 7, 2018 in New Orleans. Note: Although Rodrigue printed this edition, he did not complete signing it. According to the appraisal firm, Matthew Clayton Brown, there is a well-established precedent for completing an artist’s edition posthumously —-notably with editions from the Estate of Andy Warhol concerning artwork Warhol had created but not yet signed upon his death. In other words, this is not a new print. 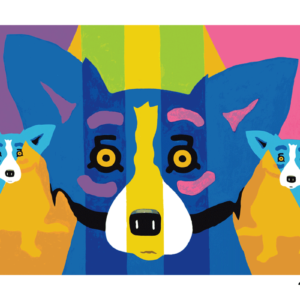 It is the original Rodrigue edition. Because Rodrigue did not complete signing the run, his estate is completing the numbered series using his official estate stamp, picking up where he left off, with #121/350. 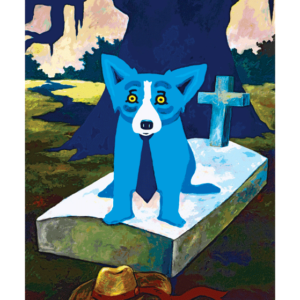 A Certificate of Authenticity with each print will reflect this signed/numbered distinction, as well as the fact that this is an original edition created in 2011 by George Rodrigue.